← February News on sale now! Message sent by: Cheryl Harrison (Police, PCSO C9928, Chipping Norton, Banbury). We are experiencing a rise in number plate thefts and car thefts in the Chipping Norton area . Please ensure your car keys are not visible in your property or near the front door. 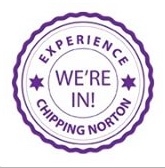 Recently we have had an increase in the theft of motor vehicles in the Chipping Norton area by person(s) either entering the property uninvited and taking car keys, or they are using a method by hooking the keys off free standing side boards, radiator covers or hooks in the hallway via the letter box. keys should be hidden out of sight and not accessible to anyone entering you home. Number plate thefts are on the increase in the Chipping Norton area, these thefts are often used in crime. We have arranged with Southcombe Garage in Chipping Norton to fit anti theft number plate screws for free, alternatively at Chipping Norton Police Station we have a small supply of the anti theft number plate screws. I can be contacted on 101 number.